Last night I ran out to get a couple things. I decided to take advantage of the deserted parking lot and drive up this pile of snow. I could feel the snow smushing as I drove up it so I didn't want to push too far into the pile only to have things come crashing down. 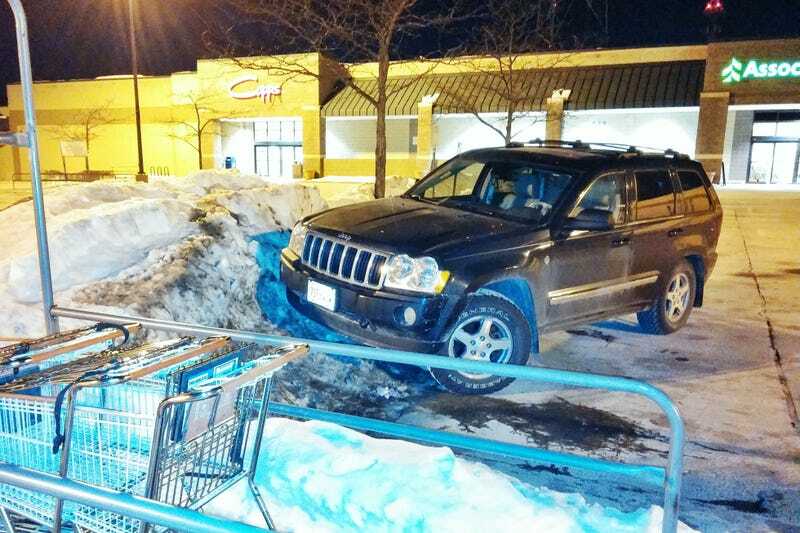 Imma be all up in your Walgreen's, flexing my Jeep.